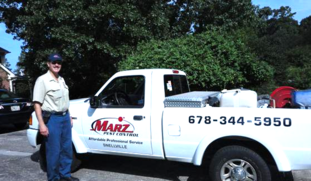 Marz Pest Control, family owned and operated, provides outstanding pest control service in the Gwinnett County and surrounding areas for 15 years. We offer customized pest control service and we specialize in the control and elimination of ants, spiders and roaches. Steve Marrazzo has been in the pest control service industry for over 17 years. He’s knowledgeable with all aspects of the pest control industry servicing both residential and commercial properties. Steve's Bachelor's Degree in Chemistry gives him an expertise in the use of pest control chemicals enabling him to maximize their effectiveness while assuring safety to people, pets and the environment. We treat for the specific type of pest or pests that are a problem. This is because different chemicals work specifically on different types of pests. Also, we apply the pesticides in the areas that are the most effective for the type of pest being treated. We begin service with an Initial Treatment which includes an inspection for the target pests that need to be eliminated. A thorough interior treatment is done to eliminate pests that have taken up residence inside the premises. An outside perimeter treatment is also done to prevent new pests from re-entering. Thereafter, maintenance treatments can effectively be done from the outside eliminating the need to have the inside of your home continuously sprayed with pesticides. This type of treatment takes a little more time than a routine interior spraying, but it works very well and it is how we service our own home. 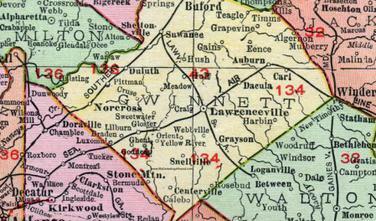 Servicing all of Gwinnett County and surrounding areas. For Professional Service Far Above the Rest.